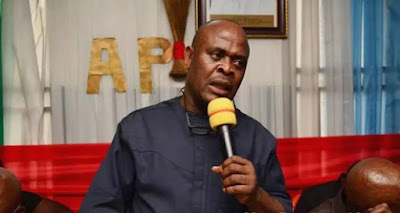 The Chairman of the All Progressives Congress (APC) in Abia, Chief Donatus Nwankpa, freed by kidnappers after four days has made a sensational revelation about his ordeal: the indifference by Nigerian policemen who witnessed his kidnap. Nwankpa who has returned home said the hoodlums, who kidnapped him, accosted his car about 30 metres away from a police checkpoint at the Arungwa Junction on Enugu-Port Harcourt expressway. “The police were watching and did not intervene, while we were attacked by the hoodlums,” he said. Nwankpa was said to have been kidnapped while on his way to Aba from Umuahia around 11 pm on Monday, ahead of Tuesday’s visit of President Muhammadu Buhari for his presidential rally. He told newsmen in his residence in Umuahia on Friday, that he was released at about 9 pm on Thursday and taken to the border between Abia and Rivers states. 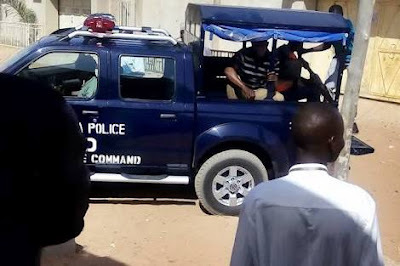 He said that after they were kidnapped, he pleaded with the gunmen to release one of his aides, who had a major operation recently and was still recuperating. He said that they heeded his plea and dropped off the man but drove him away to a deep forest in Rivers. Nwankpa said that it took the kidnappers about 48 hours before they could open up communication and agree to negotiate with his people. He said that although the Department of State Services (DSS) was able to locate their location in the forest, he admonished them not to take any action. “When you are kidnapped, you are between life and death. So I told the DSS that nobody should attack after they located the place I was kept,” he said. He said that his fear was that death could come from the kidnappers or during a gun battle between the hoodlums and security agents. He said that he had only N250,000 when he was attacked and blamed the incident on the state of insecurity in the state. He expressed joy that he was not hurt by his abductors but could not disclose whether ransom was paid before he was let off the hook. Scores of APC party chieftains in the state visited Nwankpa’s residence on Friday to rejoice with him over his safe return.